Beginning shortly after the 2013 Colorado flood, Colorado State University (CSU) historians began gathering an oral history of natural disaster responders, and compiled their results into a Final Report of the 2013 Northern Colorado Flood Oral History Project. 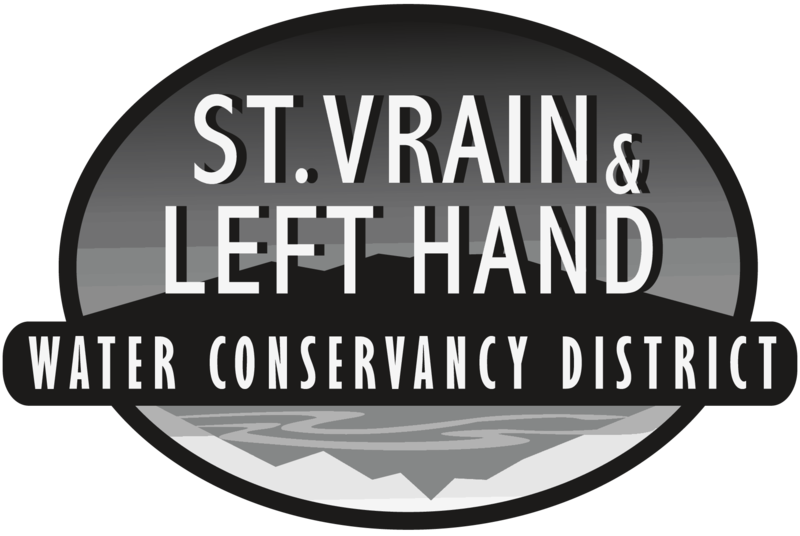 St Vrain and Left Hand Water Conservancy District Director Sean Cronin was interviewed as part of the project. Page 25: There’s no playbook for flood. – Sean Cronin, St. Vrain and Lefthand Water Conservancy District. I got to know those people…through this flood event and, and it’s been one of the…silver linings, if you will, of the disaster…it…personally gave me great comfort in the people who dedicate their careers and their lives to emergency management….I got to know Mike Chard with Boulder County and he is a spectacular asset to this community in terms of how he runs recovery efforts. I got to know Gerry Safferson [sp? ], who dealt with the…wildfire restoration efforts in Boulder County and was put on the flood recovery efforts….I don’t think the communities at large recognize the quality of people that do…that kind of work.….I was very fortunate to get to know them and really appreciate their leadership…and the…strong qualities they have about them to get stuff done. Page 41-42: Sean Cronin, Executive Director of the Left Hand and St. Vrain Conservancy District, assumed a leadership role in helping ditch companies repair their water-delivery systems. He found himself mediating between the agricultural ditch companies in his area and FEMA and, interestingly, reported greater success than Kelsch in trying to fit FEMA policies to the needs of ditch companies. As Cronin’s remarks suggest, managers learned that recovery services worked best when they were tailored to the unique needs of communities, so he worked to fit FEMA policies to the needs of ditch companies and farmers. [T]he way the ditch companies operate is they’re… incorporated ditches where they assess the shareholders the cost of the repairs. Well for a ditch company that typically operates, maybe, you know, 30,000 …to 100,000 dollars a year of operating expenses, to immediately be faced with…two million or three million or six million dollar expenses…it’d be crippling to the agricultural economy here in the basin. So we quickly started working with FEMA to say, do these ditch companies qualify for public assistance? And the real challenge was they’re private, incorporated ditches, how, by definition then, do they qualify for public assistance? And so we work very closely with FEMA to try to educate them on…public interest, ownership in these ditches. So, for example the City of Longmont or Boulder County might own a large percentage within the ditch company and the City of Longmont in particular relies on this ditch company’s infrastructure to provide water to a water treatment plant and that water treatment plant cleans the water up, and delivers it to its customers in Longmont…. [I]t took quite a while for them to…get a handle on that…[R]ight now it stands that most of these ditches will get some level of FEMA reimbursement. Page 43: Some of the most successful recovery efforts after the flood involved innovation. Sean Cronin’s interventions with FEMA resulted in flood assistance going for the first time to ditch companies that operated for private farmers and the public good. Cronin was also involved in innovative efforts to help private ditch companies remove tree limbs, sediment and other debris from water channels before the high-snowpack Spring 2014 runoff turned it into hazardous material. The landowners on either side of the rivers, creeks, and ditches had property rights to the waterways; the county had no jurisdiction to compel them to clear debris from these sites, yet was worried about the damage that might result from a failure to act. 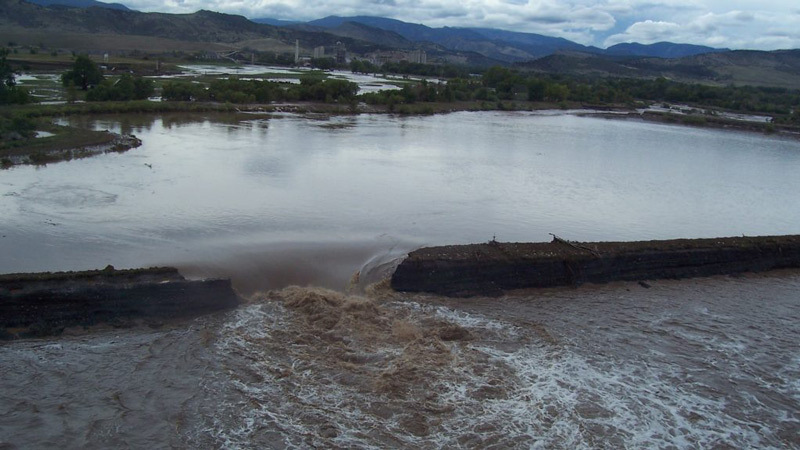 Cronin helped create new public and private partnerships involving ditch companies (large and small, incorporated and unincorporated), FEMA, and the Colorado Water Conservation Board, which cleaned up and re-channelized waterways, thereby preventing damaging runoff. Page 44: The debris removal programs led by Cronin and Chard were of critical value, but their fixes were temporary and problematic. Individual landowners, volunteer crews, and local government workers created waterways that were sometimes too scoured and channelized to support fish populations and full ecosystem function. They didn’t consider longterm restoration goals. Page 45: Sean Cronin noted that some of these coalitions, as well as other volunteer and scientific groups, are actively engaged in monitoring streams and rivers that underwent emergency debris removal and repair for fish population, habitat, and ecosystem function. Sturm, Cronin, and other water managers interviewed for this project acknowledge that watershed restoration is essential to long-term recovery and to flood resilience. For more information about the 2013 flood, please visit our Past Projects page.